Furniture is now in the digital age. The way that furniture is designed has been profoundly affected by the rapid change of technology. Many companies are trying to develop furniture products that are adaptable, multifunctional and integrable to consumer electronics to enhance productivity. They want to improve the functionality and sustainable methods of furniture production. Generating workspaces that are inviting and welcoming can attract and retain employees within the organization. It can help boost creativity and encourage new perspectives. According to a study conducted by Lund University, employee’s creativity is impacted by the physical environment. Factors perceived as facilitators of creativity were interior design and furniture. From the downfall of traditional cubicles to the rise of open offices, furniture design has been undergoing drastic changes over the past decade. Factors such as shared workspaces and technology advancements are affecting the way furniture is built and designed. Furniture design today must adapt to changes in workspaces and support various work functions. 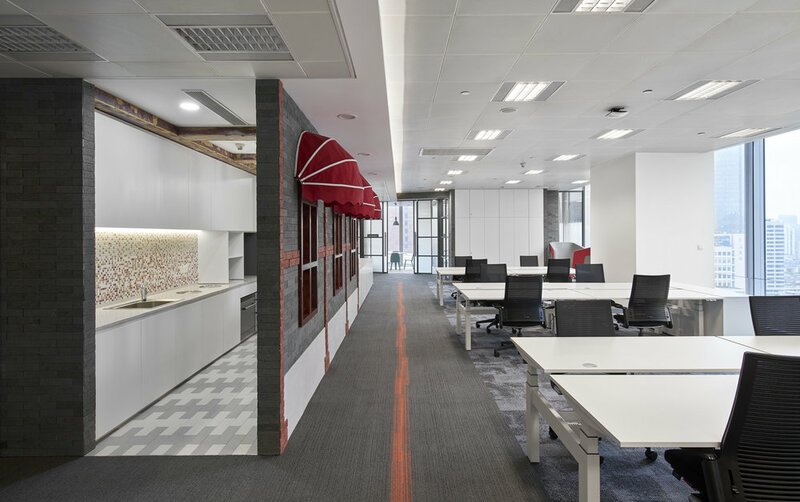 Over recent years, office design has become an integral part of an organization’s success. A well-designed workspace can enhance employee productivity and encourage interaction. In 2019, organizations will continue to be innovative and creative towards the use of workspaces. There will also be a strong focus on employee satisfaction and sustainability in business practices. China’s demands in the office space have been changing. With China’s continuous proliferation of open workspaces, many companies have been adopting open and agile offices. However, things are never straightforward. The necessity to adapt to multiple complexities make forging trust equally important to professional expertise in the quest of staying ahead of the competition. Q: What have Chinese clients been looking for in the past 5 years and what has changed? Most top Chinese companies have either developed or are developing their own identities. Rather than imitating multi-national corporations, they would take time to discover their positioning and style. So, when approaching our Chinese clients, we always offer a combination of local and imported products to cater the demand for localisation. Q: What clients look for (e.g. styles, functionality) and what are their concerns (e.g. cost, lead-time, authenticity)? Acoustic performance remains a vital factor. Though office trends have been focusing on openness and agility, certain areas need to remain boarded for discussing confidential topics. Another common challenge is lead-time. Delivering each partition component on time has always been challenging. In face of such challenges, I believe that JEB’s focus on expertise and service is our true differentiation. Clients benefit from the high-quality project management and after-sales services, and each product is customised exactly to the client’s style and intention. We also maintain a long-term relationship with them after the project. Also, our inventory system is designed to reserve relevant items internally for each project. With that, we have been meeting our lead-times quite well. I will credit our success to our local spearhead team’s diversity and expertise. All our sales consultants have the relevant background, which guarantees our knowledge about design and the industry. Also, I think my German-born background allows me to easily interact with most of the European and Chinese communities here. WOULD YOU LIKE TO KNOW MORE ABOUT JEB PARTITIONS' OFFERS? Q: What is the key to success for servicing Chinese projects? Being professional is imperative – which means being fast and flexible. Design specifications can keep changing. Our sales team take tremendous effort to fully understand each project’s intent and all relation involved. Through that, we coordinate clients and project managers, and this is vital for ensuring a smooth project. And again, providing the right mixture of local-Chinese and important components is also key. Q: How has JEB solved it so far? Any indicator of success? The client is our number-one priority. So, we strive to always be one step ahead of the client. At the same time, we continuously develop our relationship with the partitions’ end-user to minimise any miscommunication between different parties. By liaising with both the end-user and architects, each party could stay connected with the project and understand what JEB has to offer. Q: How would you summarise JEB’s strength in adding value to China’s partition market? I would give my credits to our team’s flexibility in customising products, quick feedback and open communication, top-notch key products, and variety available. I also think that the fact we only do direct sales makes our service more direct and personalised. Zheng Xiung Tien is our General Manager in Shanghai. You can find out more about JEB’s partition systems, visit his LinkedIn profile or contact him directly. 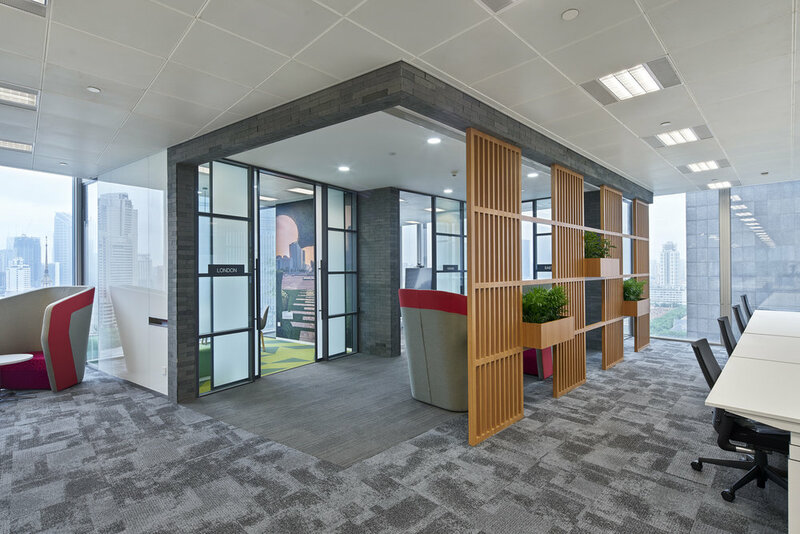 JEB delivers the best in Partitions, Furniture and Bespoke Solutions in facades and specialist installations to lead the market toward a better future and wellness.